Leyden House was founded in 1991 by Gerry McCarthy. 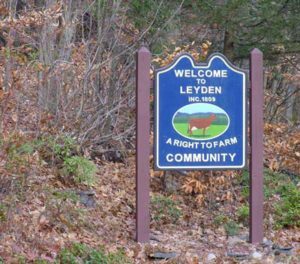 Twenty five years later, we are still a family run business located in rural Western Massachusetts in Leyden, “a right to farm” town. While practicing speech pathology, Gerry became interested in a multi-sensory approach to our well being. In particular, he was interested in focusing on the air we breathe and options for improvement in air quality using essential oils. Gerry then conceptualized a unique essential oil diffuser, without breakable glass , that also featured a timer, so that oils could be diffused intermittently. The Essential Air he developed was granted a patent by the US Government. Gerry holds a BA from Emerson College and M. Ed from the University of Massachusetts. Postgraduate work in audiology was done at the University of West Virginia Medical Center.